A lot of things go into making a popular app — successful apps usually have cutting-edge technology, on-ground operations, and a marketing team helping to grow their business. But at times, all it takes to make a smash hit is a single good idea. An unlikely app is currently trending Indian Play Store. Called “Selfie with Narendra Modi Ji” it does pretty much what it says on the box — it lets users create and show off their selfies with Indian Prime Minister Narendra Modi. There’s no marketing spiel, no VC funding, but “Selfie with Narendra Modi Ji” currently boasts of 1 million to 5 million downloads, and has a rating of 4.1. These are impressive numbers for an app that has the look of something that was cobbled together on a weekend. Selfie With Narendra Modi Ji’s UI looks dated, and it crashed several times during testing. But if you persist, it does end up letting you create a selfie with Modi. Users can either upload pictures from their gallery, or take instant selfies. 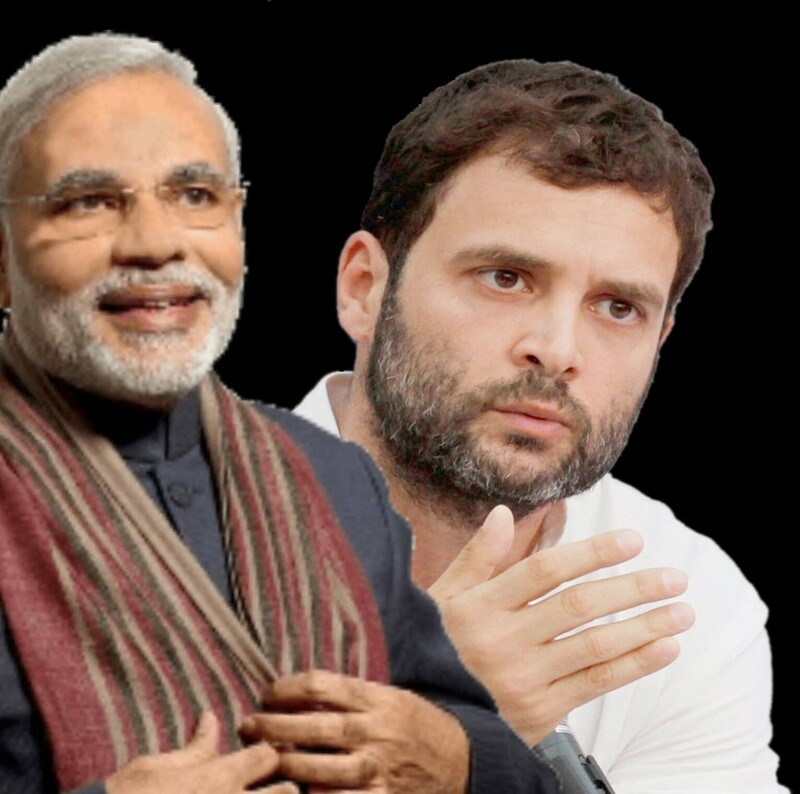 These can then be overlaid on smiling photos of Modi — there’s a wide variety of Modis available — there’s a smiling Modi in a Banghgala, and there’s a more sombre Modi with his arms crossed. Users can resize their Modi, turn him around, all to create the perfect selfie with the Prime Minister. The app also lets users share their creations to Facebook, Twitter and Instagram. Even though the app might seem rather unidimensional, users seem to be lapping it up. Apart from the complaints about the crashes, the comments are uniformly positive. “Jai ho,” says Mukesh Kumar in the reviews, while Dev Kumar simply says “Selfie with my hero.” The app does play on Modi’s persona quite well — Modi has a large social media following, having recently become the most followed world leader on Instagram, and he’s quite fond of the selfie. Modi’s taken several famous selfies with world leaders, and letting ordinary people create selfies with him is pretty smart marketing. And Modi’s fanbase is probably making the app some serious money. “Selfie with Narendra Modi Ji” is flush with ads at every step, and each click from those 1 million downloads will help fill the coffers of Fotolabel Photo apps, the company behind the app. Not much is known about the company (its website says it’s launching soon), but it seems to have made over 50 apps that let users edit photos. “Selfie With Nadrenda Modi Ji” seems to be its standout hit. While it might seem that it’s only Narendra Modi’s popularity that’s driving the app, there’s more to its growth than meets the eye. The app cleverly includes a viral component, letting its users to share the selfies they’ve created with their friends, and asking them set the selfies as their Display pictures on Facebook. This creates word of mouth marketing around the app that’s hard to replicate with any marketing campaign. 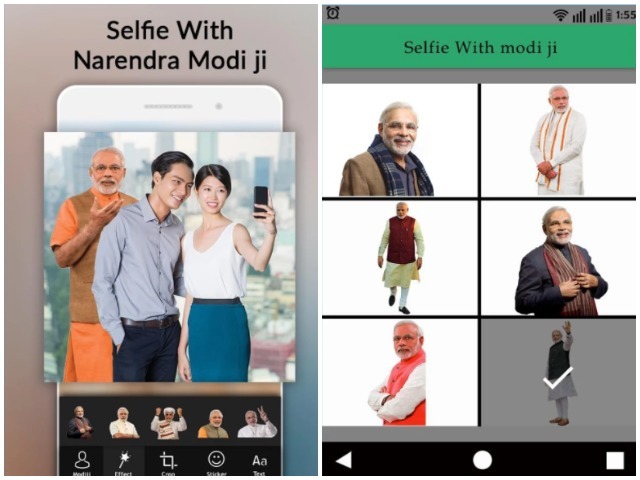 Also, the app’s makers seem to have understood the pulse of their audience — keeping with the times, “Selfie With Narendra Modi ji” also lets its users add text and stickers to their photos, much like Snapchat and Facebook. And to be honest, it’s kind of fun. While Modi might take several selfies, we managed to use it to create a selfie that he probably isn’t taking anytime soon.